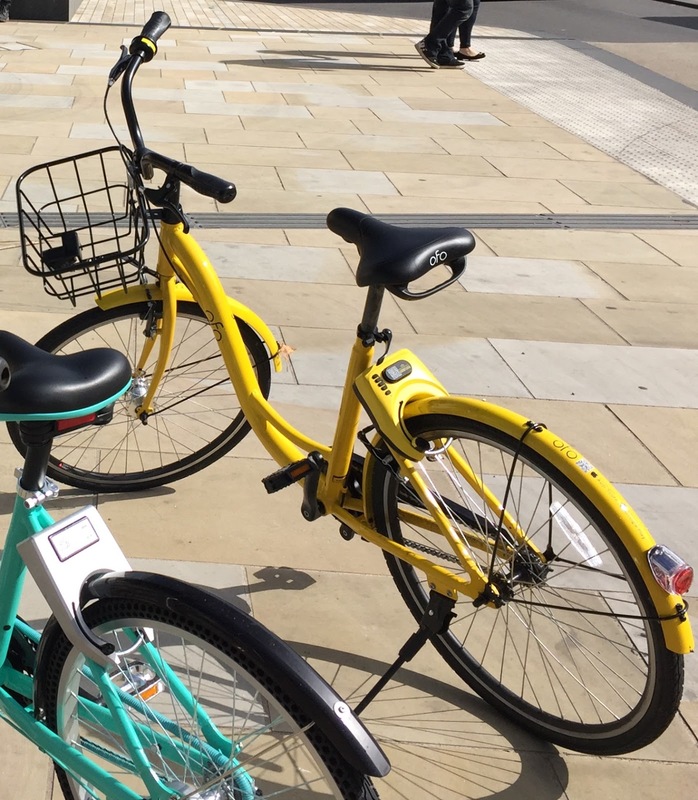 Recently, a company by the name Ofo set up shop in my home city of Oxford and being of a two wheeled persuasion, lots of people have asked me what it’s all about. So I thought i’d investigate. Here are the facts. 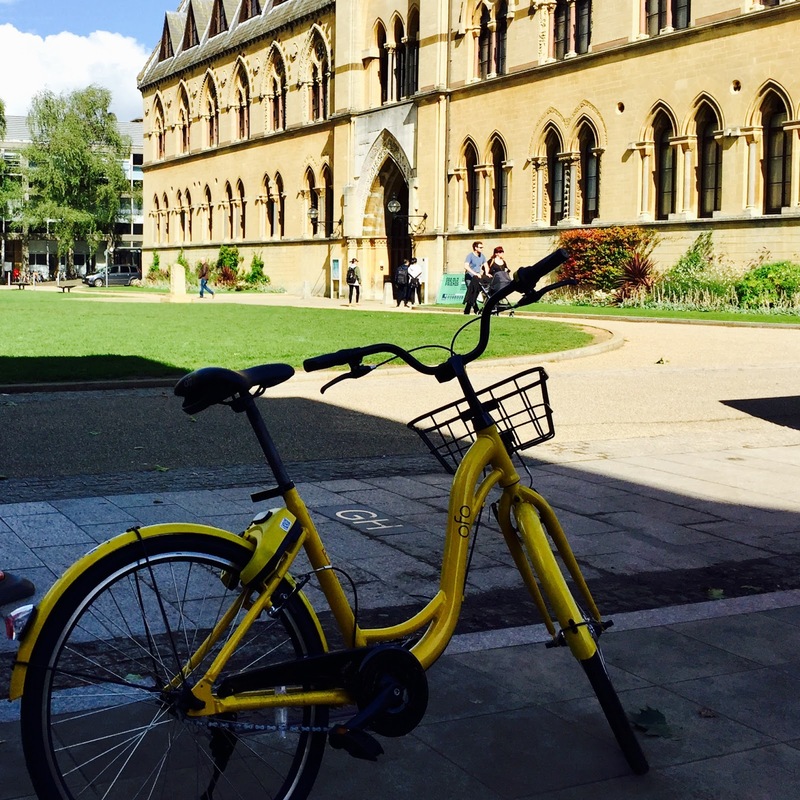 Ofo is a bike hiring service, dubbed “Uber for bicycles”, you download their app, find a bike and away you pedal. Full disclosure, I live just out side of the city and I did have to ride my own bike to get to the nearest ofo bike. The app includes a map that tells you all the locations of all the Ofo bikes so you can easily find the one nearest to you. It showed me that the closest one was at the Park & Ride. Which makes sense. You’ve parked up, but don’t fancy paying the extra for the bus. 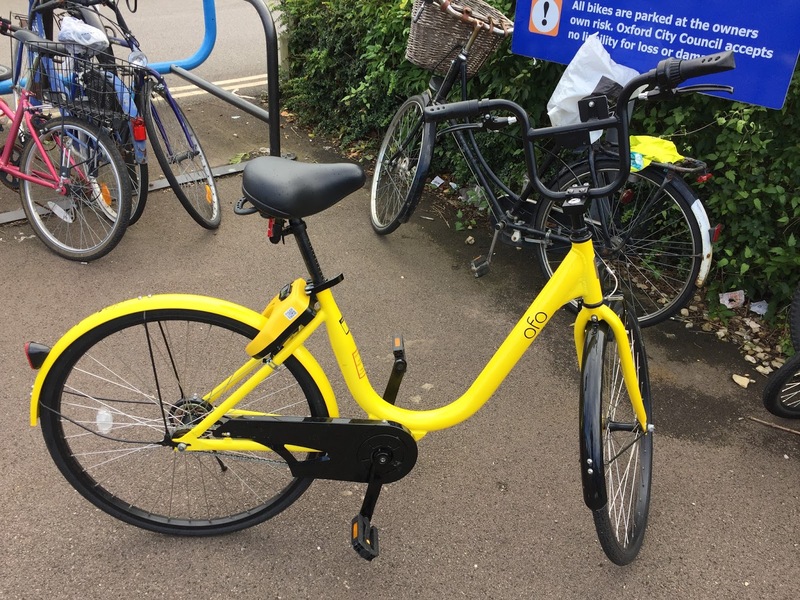 Then unlock an ofo bike and head into town. For me, this is where the problems began. I scan the bike that was there and received an error message: Bike is locked, out of authorised zone. Off to a flying start. The Park & Ride is not in the authorised zone! So I checked the map and the next nearest bike was at the train station – another 10 minute cycle. Just outside the station I find the distinctive yellow bike and attempt to unlock it. Success this time, the timer starts. This is how the app knows how much to charge you. (There is currently a six week free trial, but in the future its £1.00 an hour). So I decide to take a little trip around the city. The bike it’s self is ok. They have been designed for all types of rider, so it’s a fixed gear with a low cross bar, responsive brakes and pretty light weight. I have to adjust the seat almost immediately as the last user left it on the lowest setting. I’ve never used a fixed gear bicycle before and I did learn that I don’t like them, so the day wasn’t a complete waste. I decided to stop in the centre of town. To end your journey you simply slide the in-built lock into place and because your app and the bike are connected, the timer stops and your journey has ended. However, I hadn’t stopped at a very good place and I spotted a bike rack just ahead, so I thought I’d just unlock it again, put it in the bike rack and that’ll be that. Except that when I turned on the app it still thought I was riding. Seeing no way to resolve it I called the ofo phone line that is printed on the bike. They told me that there is an issue with the app and they are working hard to resolve it but there was nothing she could do right now. So that was it, I had no choice but to leave the bike where it was and walk back to the station. I think my biggest question still remains with these bikes. Exactly who are they for? I assume they are supposed to be aimed at students, but then I would argue that you can pretty much walk across Oxford (for free) and even if you went a bit further, the bike would be out of the authorised zone. Time will tell if this actually takes off but for now I wouldn’t recommend it. You’d be better off spending your money on a real bike.